Are you looking to travel more this year? Us too! FUN FACT: increased travel is one of the most common New Year’s resolutions. Who wouldn’t enjoy a new chance to spread their wings and explore the awe-inspiring far reaches of distant landscapes and cultures? And as we travel the globe, there’s something that we’ll always look forward to – coffee! 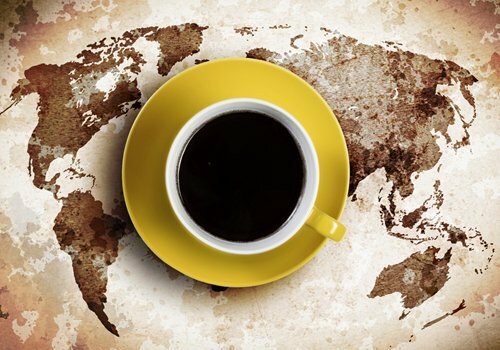 Surprisingly, there’s a wide range of ways that coffee is enjoyed around the globe. Although there are other morning traditions, like yerba mate in Argentina, chai tea in India, and blends of apple cider vinegar, honey and herbs in the Middle East, coffee still dominates in most countries. Let’s explore exactly how coffee is served up in some popular travel spots! 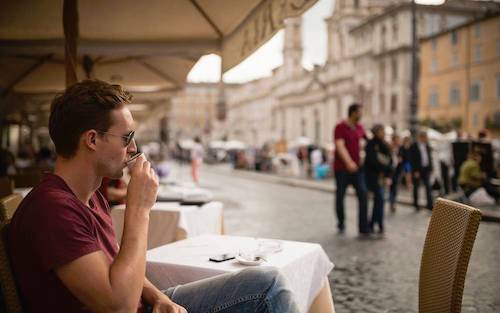 Known for romantic gondola rides in Venice, velvety wine in Sicily, and crisp pizza in Napoli, perhaps nobody does coffee better than Italy. Though it’s located well north of muggy coffee countries, Italy has a strong reputation for java. It’s here that the espresso machine was born! A coffee lover can enter nearly any establishment, whether a slick stylish bar or a small nameless café in the remote Abruggio, and expect no less than the best. Add some milk you’ll be in Italian coffee bliss! Ethiopia offers surreal hikes, mountain climbing, and ancient cultures rich in traditions. And it’s here that coffee was first discovered. 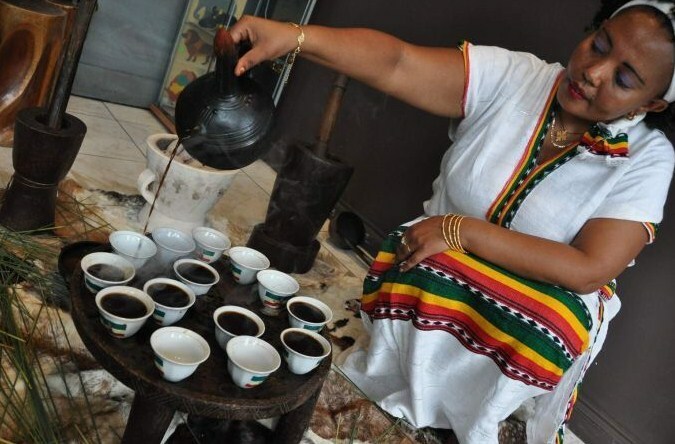 People have been enjoying coffee in Ethiopia for over 1,000 years! Don’t expect to grab-n-go in Ethiopia. Do expect it to be an experience! Today, coffee (locally known as buna) is still made and served in a traditional table-side ritual. Your server transforms coffee beans from raw red cherries into a toasty, steaming drink, all before your eyes. Fully indulge in this process, called a jebena buna, as it can last more than an hour. A vacation in Spain can easily be spent taking part in the country’s quintessential activities: eating paella, touring infamous cathedrals, and eating tapas late into the night. But this is another stellar location for a unique coffee experience! 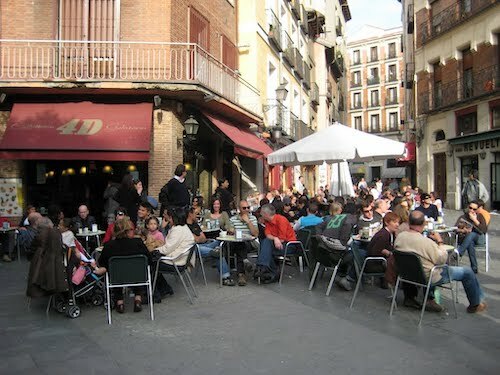 In the big cities, cafes are usually located near the local churches. Head there in the morning for a scene that will be bustling with activity, and order up a café con leche, which is an espresso served with hot milk. There’s just one thing to be aware of here. While you can sit in a Starbucks for hours on end with a single coffee in the States, doing so in Spain you’ll quickly realize you’ve overstayed your welcome. Let the delicious coffee awaken your senses and get moving to the next stop for sightseeing or a tasty meal. 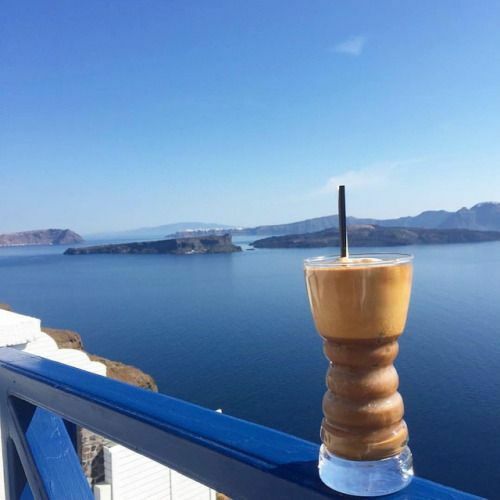 The beautiful Mediterranean aesthetic of Greece is alluring for both romantic getaways and for history buffs to drink in the sights of ancient Athens. When it comes to drinking coffee here, frappe is a local favorite. Typically made using Nescafé, a frappe is a frothed-up blend of milk, sugar and coffee, served over ice. The drink can be had with or without sugar, but on a warm summer day in the islands, ice is the essential ingredient. No matter where your travels take you this year, try the local coffee traditions and enjoy what they have to offer!